Exciting us from a technical standpoint and for anyone using OpenBSD on the desktop is a newer Radeon DRM display driver, but it's still very dated compared to what is found in the mainline Linux kernel. Their Radeon DRM driver is now synced against the Linux 4.4.155 LTS upstream state that then provides mode-setting support for various GCN 1.0/1.1 graphics cards as a new feature to OpenBSD... But newer GPUs and the many other open-source AMD improvements past Linux 4.4 haven't made their way into the OpenBSD world yet. Even still, Radeon graphics remain among the best supported options for what is available to OpenBSD users. The Radeon DRM code is also now available for 64-bit ARM OpenBSD users. On the 64-bit ARM front, OpenBSD also now supports ACPI there, there are various new drivers for Marvell Armada SoCs, Allwinner H3/A64 drivers, and different ARM/ARM64 drivers added. Some of the new OpenBSD drivers in general cover Windows Precision Touchpad devices, Broadcom BCM573xx/BCM574xx, Microsoft Surface Book ACPI support, a generic pin multiplexing driver, Elantech trackpoints, and various other peripherals. For Intel 32-bit users is also now support for loading Intel CPU microcode at boot time. Rounding out the hardware work are WiFi improvements -- including the ability for the kernel to manage the automatic switching between different WiFi networks depending upon network availability. 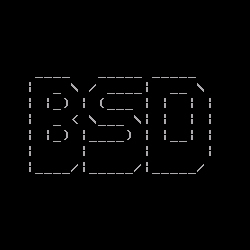 Outside of the hardware space, OpenBSD 6.4 ships with a new unveil(2) system call for restricting file-system access of the calling process to specified files/directories. There is also a MAP_STACK option for mmap(2), Retpolines for Spectre V2 mitigation is enabled within the LLVM Clang compiler, SpectreRSB mitigations for AMD64 as well as L1TF / Foreshadow, Meltdown mitigation for i386 builds, and SMT support is disabled by default over security concerns. More details on the many changes to OpenBSD 6.4 can be found via the OpenBSD.org release page. I'll likely be running some fresh benchmarks with it soon.